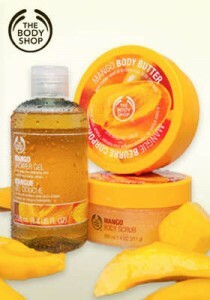 At The Body Shop, you can get up to 50% off you’re entire order! When you buy 5 items, you’ll get 50% off automatically at checkout. If you buy 4 items, you’ll receive 40% off, 3 items you’ll get 30% off, and so on. You can find some pretty exciting deals with this promotion. You can grab some Mini Body Butter for just $2.50 after the discount (regularly $6, or 2 for $10)! Shipping starts at $5.95, but once your order is more than $50, you’ll receive FREE shipping! This deal ends Sunday, 8/12.